Daryl Graduated from Murdoch University and started working in Lismore in December 1983, working for Jack Frogley, the owner at that time. Daryl fell in love with the area and also with Kerry (his wife) and has never left. They had two children, Alyce & Luke. Alyce is a devoted teacher & Luke is staring his career as a lawyer. Daryl bought the business in 1993 and now is in partnership with Ray Austin. Daryl loves all aspects of veterinary science especially dogs, cats and cattle work. Apart from his love for his family, Daryl loves all sports, especially cricket and golf & following the ups & downs of Collingwood in AFL. Daryl's household has always had pets in it but at the moment it is only Roxy, a rescued Poodle X found at a Pottsville roundabout 11yrs ago. Needless to say she is getting thoroughly spoilt. He is sure that another pet will enter their lives soon - you never really know how they will find you to be their owner! Graduated in 2002 from The University of Queensland with first class Honours. Ray started working at the Keen Street Veterinary Clinic in the December of 2002 and is now a proud part owner. Ray has one dog Lenny, who you may see wandering around the clinic, and three cats Chiko, Banjo and Dippy. Ray lives with his partner Kate on their farm at Eltham & they have 3 young daughters Naomi, Chloe and Jemma. At work, you will find Ray doing a lot of the technical surgery, farm animal work & stiil trying to spend time with his clients. John graduated from Charles Sturt University in Wagga in July 2013. John is a local boy that did all his schooling in Lismore, finishing off at Trinity Catholic College. John grew up on a farm just outside Bexhill and loves the home/farm life. 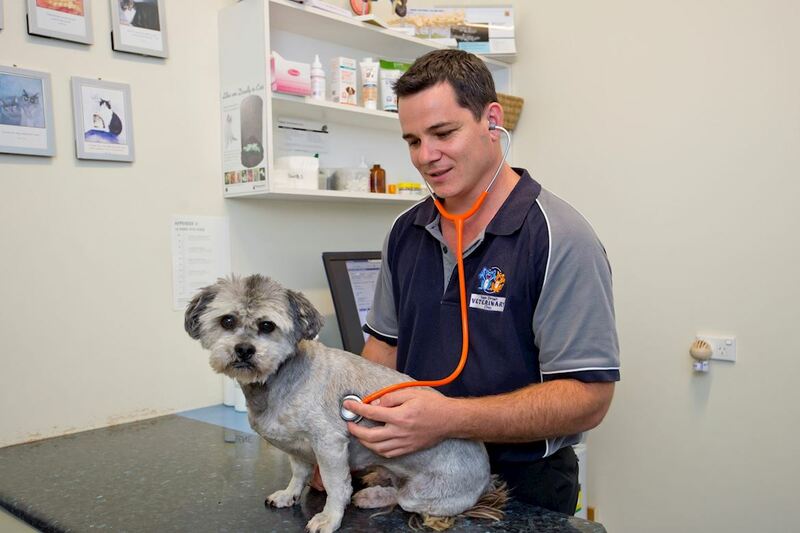 John loves all things veterinary and has shown that he is a natural fit into the vet life. He has a keen interest in cattle work, but also loves the small animal side of the practice--just not the snakes. Outside of vet hours, John is still very involved with Marist Brothers Rugby League Club and has represented them and the area for many years. He is also a talented cricketer but since leaving school has not had a lot of time to pursue that interest. John still lives on the family farm and is surrounded by cattle and cattle dogs. He will often be seen chasing after his own cattle on his days off. Kylie is originally from Queensland (we try not to hold this against her). After completing her Veterinary degree from University of Queensland in 1990 she ventured south to start work in Casino. Kylie has worked with us as a vet on a part time basis since 2000 with small animals. In between however, she went overseas and worked as a Locum Vet which supported her adventures for 6 months before returning home. At work, she is constantly in getting her hands dirty & doing lots of consults, surgery & helping the nurses out. It was on a farm visit pregnancy testing cows, that she was introduced to Barry…the loveable larrikin whom she married 4 years later. Kylie has 3 sons, Sam, Tom & Joe who all love their sport so her time ferrying them around to numerous sporting events. Although, she loves being at sport(especially cricket!)herself. Now she plays Netball on the weekends. Rebecca grew up on a small hobby farm in country NSW. She grew up surrounded by animals and pets. After high school she completed a Science degree with honours at the University of Newcastle before heading overseas on a two year working holiday adventure. Although having an excellent time travelling, Rebecca decided to return home, go back to uni and become a vet. In 2007 she graduated from the University of Sydney with first class honours. Rebecca joined the crew at Keen Street January 2008 and has been with us ever since working mainly with small animals, exotics and wildlife. In her spare time Bec enjoys camping, swimming, cooking, music and of course, travel. She is also a member of the Keen Vets Oz Tag team. Bec shares her home with Jeanie, a gorgeous Kelpie who digs up the backyard with reckless abandon and would have more pets if only Wal; her partner, would let her!! Her little girl Mae who is 3 will soon have another sibling as well, around the end of August 2016. The indomitable Miss Jane is the clinic manager. Really, she should be known as the pressure release valve for Daryl & Ray for the stress and pressure she removes by taking on a large amount of the paperwork, wages, ordering and general day to day business of the practice. Jane has worked as a vet nurse in lots of different places including a few years in England. She returned home with a wealth of experience and started working for Keen Vets in 1993 full time, only leaving for brief stints to have children. After overcoming brain surgery 5 years ago, her absence while convalescing, made her all the more notable as one of the reasons Daryl and Ray are still sane…well almost sane! Jane now works three days a week and spends the rest of her time running around after her two children, her husband Craig & all the animals on their farm just outside Lismore’s outskirts. Melissa was born in Lismore although she swears she is not a Lismoron…(sure sure Mel). As a kid she scampered around the farm with her three brothers and sister before meeting her high school sweetheart Craig (awww how romantic) and marrying him a few years later. Mel initially worked as a florist in Lismore before starting her vet nursing career. 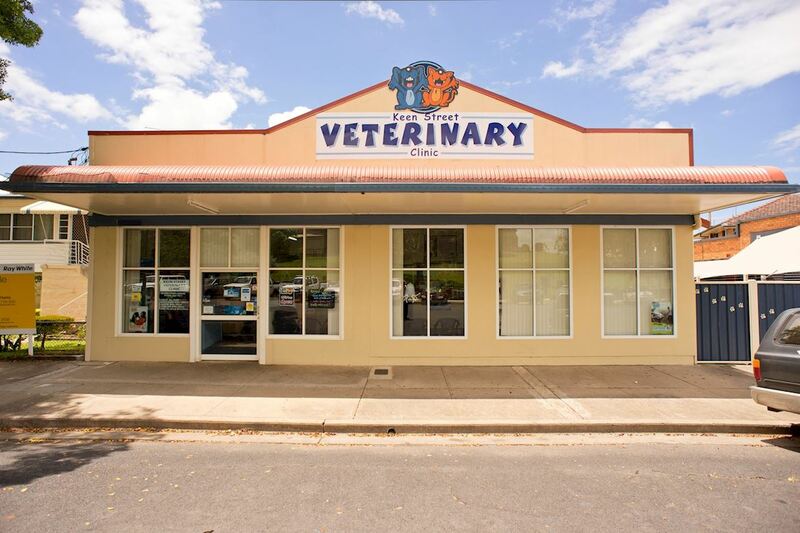 She has worked with us at Keen Vets since 2005. Mel’s spare time is now spent on the farm chasing after her son Jake and daughter Kirra. She shares her farm with 4 dogs, a cat, lots of chickens and beef cattle……oh and Craig of course. Both Mel and Craig also play Oz Tag …and they are the best interceptors of our team!! Shelly was born in Sydney but she is really a Lismoron as she has been here since she was five. Her love for the outdoors and animals directed her into agricultural college and after completion of her certificate in agriculture she began her vet nursing career. She has been a nurse since 1996 completing her studies in Cert.IIII in 1998. 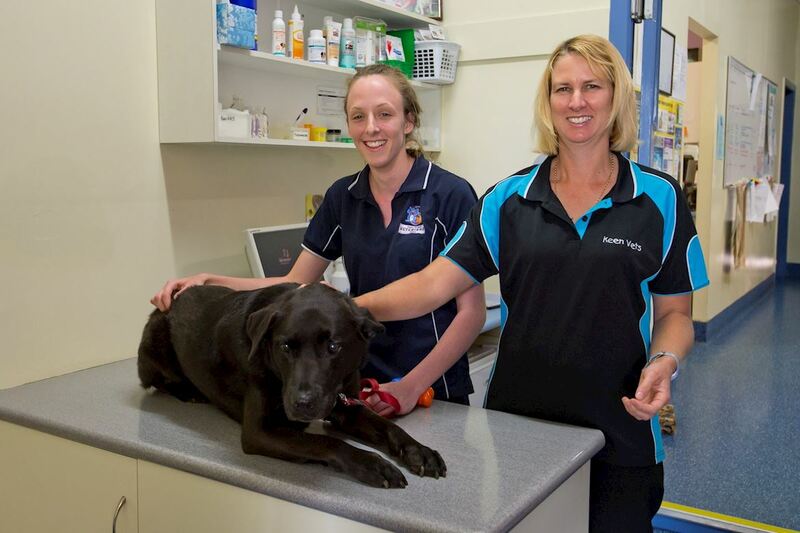 Shelly has worked as a vet nurse in Sydney, Dubbo and Narromine, but now settled in Lismore. She joined Keen Vets late 2003 as a full time nurse. Shell spends her time with her sons Ethan & Liam and partner Nathan. She loves her Yoga, Pilates & horseriding. Shelly loves her job & enjoys 4WD'ing and camping with family & friends. Kylie started work at Keen Vets when she was a shy sweet 16 year old, although she couldn’t hide that sly, cheeky glint in her eye for long!! 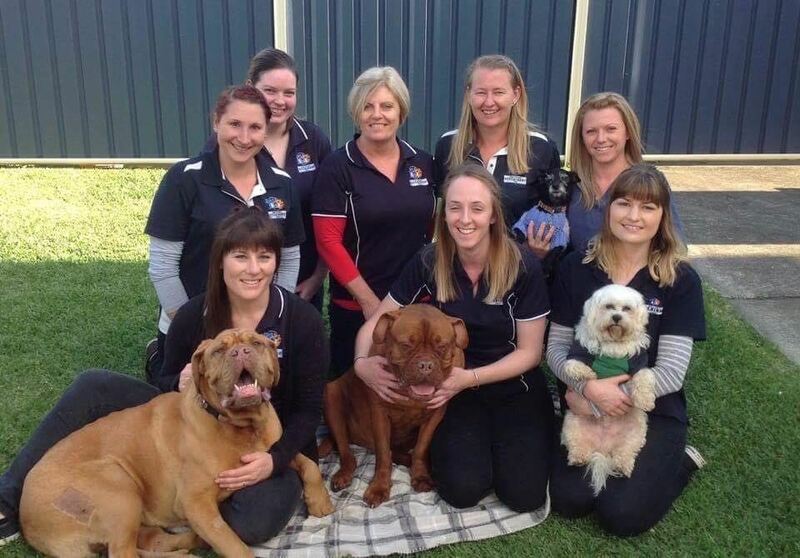 Initially she spent most of her time clipping and grooming dogs & cats…she is still the fastest groomer in the east, but she continued her vet nursing studies and completed her equivalent of Cert IV nursing at Tafe. Kylie worked full time until early 2009 when she took time out to have a baby. Now she has two little sons to keep her really busy and she has reduced her working days to 2 per week. Kylie spends her spare time in her house and garden, playing soccer and is a member of the Keen Vets Oz Tag team where she can be seen running with a full twist to avoid being tagged. She has superb artistic talent and all her spare time is spent in her studio with pencil in hand. She has worked on commissions for some of our clients, completing impressive pet portraits. She shares her home with husband Stephen, 3 dogs - 2 rescued Dogue de Bordeauxs (a.k.a Money Penny…she has needed a SERIOUS amount of TLC and Diesel..with very few problems than Penny and the newest addition, Barney, an Australian Bulldog, a Burmese cat called Ruby and the odd chook that wonders over from next door and leaves a deposit on her kitchen floor….damn those sneaky chickens! Kylie hails from the Northern Beaches of Sydney. Growing up, Kylie was a KindiFarm wrangler (think Macadamia Castle on wheels) and after high school Kylie joined a large mixed veterinary practice in Terrey Hills working as a vet nurse whilst studying for her Cert IV nursing certificate. Kylie then journeyed to Africa and worked with the big cats & baboons and all things in between before heading back to Aus. Kylie moved to the Northern Rivers (she likes all things Northern) in July 2008 to join her boyfriend and has been with Keen Vets ever since. Kylie’s spare time is spent with her warmblood mare ‘Mia’, her two dogs Tonka & Izzy and her cats Buddy & Kallie. She is Mum to Levi and Harlen. Another avid member of Keen Vets Oz Tag she also loves shopping, spending money and overseas travel. When you come to our practice you will likely be greeted with a friendly smile and hello from Sam. Sam is our full time receptionist and has been with us since 2011. Sam started her nursing career in Casino in 2008. Sam has a Certificate IV in Veterinary Nursing and is always updating her knowledge at Vet Nursing conferences or with new updates. She has a interest in dog behaviour, reproduction & all things neonate/baby care. She also loves teaching Puppy Preschool! Sam has many pets at her home being 2 dogs: Bouncer, a Labrador & Koda, a German Shepherd and 3 cats: Oreo, Ally & Zoe. Although she's definitely a big dog person! Tahlia joined our practice in 2011 not long after finishing high school at Trinity Catholic College in Lismore. Tahlia has completed her certificate IV in Veterinary Nursing at Wollongbar TAFE. Tahlia loves her job and is continually soaking up more and more knowledge in her chosen career. Tahlia spends her spare time socialising with her school friends and travelling overseas to the rescue centres for Elephants, Orangutans & Sun Bears. Lauren completed her Certificate IV in Veterinary Nursing in 2013 & started here with us in 2014. She has been working as a full time nurse with us ever since. Her interests outside of work, include exploring the Far North Coast & overseas, spending time by the beach, listening to music & watching movies sharing her house with her two cats 'Kimba' and 'Valley' and her newest rescue member "Larry' a maltese. Nancye has worked as a veterianry nurse for Jack Frogley since she was 15. So that means that Nancye has been a vet nurse for 50+ years, a fantastic achievement and she still loves coming to work. 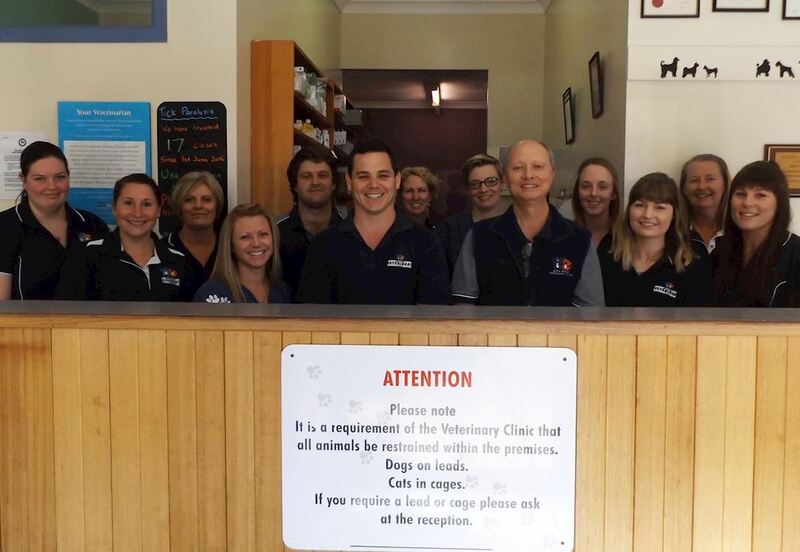 Nancye is our hardest worker and will always be seen busy, if not with vet work, then with cleaning and tidying up the waiting room and consult rooms. Nancye and her husband Clyde live on the family farm at Marom Creek and have many pets-- a lot over the years have been rescue animals from the clinic. Nancye has three children and 8 grandchildren which keep her very busy in her spare time.